180˚ panoramic view without limitations or blind spots. Integrated sensors for a comfortable, safe and convenient home. PIR multi-area motion & sound detection push notifications and video alerts. 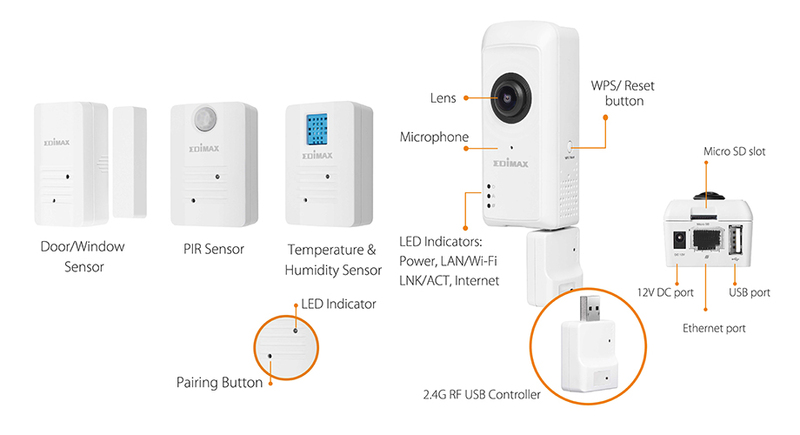 Up to 32 sensors can be used with IC-5170SC wireless dongle (each type of sensor max 8pcs). *For more information, please see from Edimax Official Website.